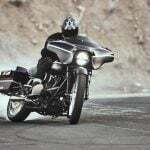 While touring riders have long known about the freedom that modular helmets provide, urban riders are quickly adopting flip-up helmets for their versatility. 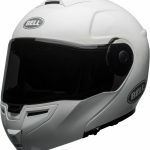 The Bell SRT Modular is a reasonably priced new entry into the market and will be available June 1. 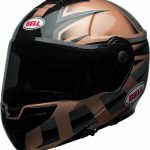 SCOTTS VALLEY, Calif. (May 23, 2018)– Bell Helmets, one of the industry’s most iconic brands and a leader in innovative head protection, today announced the all-new SRT Modular helmet, an incredibly versatile street helmet, designed to serve a wide range of riders and needs, whether it be daily commuting, weekend jaunts or long-range touring. 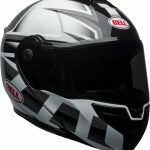 The Bell SRT offers a variety of key visibility features, no less of which is Panovision Class 1 Optics – Bell’s proprietary viewport design for maximum visibility and compatible with the up to 17 shield options, including Bell’s all-new ProTint. 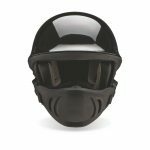 The ProTint shield, Bell Helmet’s first proprietary photochromatic shield, utilizes photochromatic technology to self-adjust to random changes in lighting conditions, arming riders with optimal clarity, day or night and regardless of varying environments. 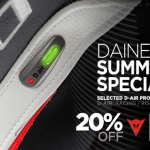 Along with the wider viewport and multiple shield compatibility, the SRT Modular goes a step further by housing an integrated drop-down sun shield, usable in both full face and ‘flip up’ modes, and is eyewear compatible. 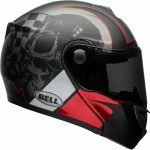 The SRT Modular is constructed from a lightweight fiberglass material that complements its sleek styling, creating a helmet that not only stands out from the average modular models stylistically, but also offers added comfort. In addition, the SRT Modular features recessed EPS for speaker pockets, allowing riders to utilize a variety of communication devices. 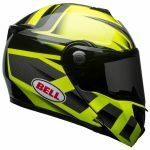 The helmet, which comes in a variety of colorway options, is available now is available now in select retailers and online at www.bellhelmets.com. 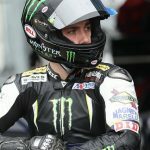 Riders can also join the conversation and follow the latest from Bell Powersports on Facebook, Instagram,Twitter, and YouTube. 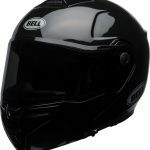 Founded in the 1950s California hot rod scene, and now protecting the heads of champions in auto, motorcycle and bicycle competitions all over the world, Bell is synonymous with protection and progression. 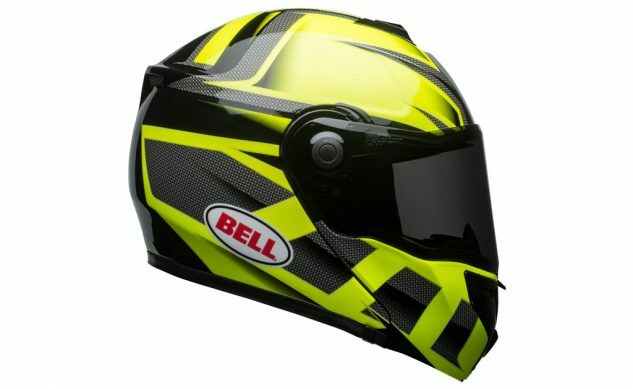 Based in Scotts Valley, Calif., Bell is the world leader in the design, manufacture and distribution of bicycle and motorcycle helmets and accessories. 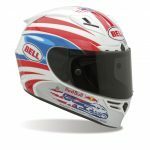 Bell is online at www.bellhelmets.com.